Imagine painting a beautiful canvas and then framing it with scraps. Imagine cooking a scrumptuous 5 course meal and then serving it in a mashed up pile. Would we ever do that? Then why create an exquisite space, finished in impeccable textures, dressed in striking furniture, but peppered with thoughtless lights? light&you is a destination that welcomes you to a well curated collection of lighting tools, installation ideas and the choicest products from leading design brands across the globe. The collection offers you some of the most iconic creations by venerated designers, while on the other hand presents a range of the latest trends and technology. light&you is your opportunity to compose and articulate your space with light and lighting, to create a heightened perception of emotion and experience. light&you is brought to you by a team of entrepreneurs with over a decade of experience in providing integrated lighting solutions, and creating sturdy platforms for high-end international lighting brands to establish their market in India. As promoters of vis a vis, an end to end lighting solutions company, they have established a brand that has constantly pushed the envelope to decide its own charter and establish new benchmarks. Following a close interaction with designers and architects across the map, there appeared a prominent gap in the understanding of the importance of quaility light in a space, while at the same time, an arena that could provide wholesome solutions for the same. light&you raises the floor to the large faction of design discerning indivuduals that value celebrated aesthetics and elevated experiences. 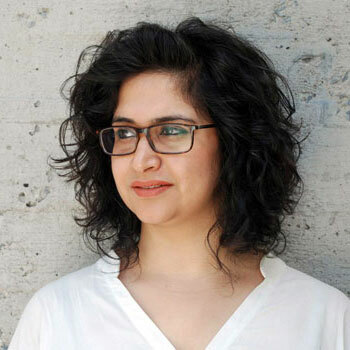 Hardeep started her career in Market Research with Indian Market Research Bureau while Amit worked in advertising for over 7 years at JWT and McCann. In a bold step, they left the corporate world in 1997 and, launched vis a vis, the first design management company. Duo passionate for things creative, provocative and challenging. 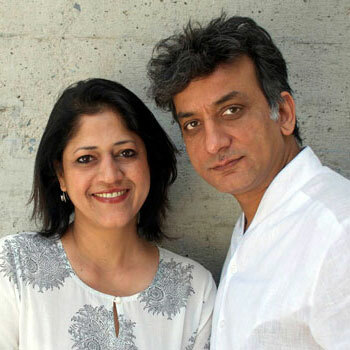 They have conceived, curated and constituted a number of initiatives in the field of design and architecture. Having spearheaded vis a vis as the Director's for over a decade, they established one of the leading companies in India providing integrated lighting solutions. Representing an extensive portfolio of globally renowned lighting brands, vis a vis boasts of the largest experience centre in the world. Located in Delhi over 2.5 acres, they created a space that not only allows one to experience light and related technologies but also experiment with it. Uniting their experience and passion for design, their vision is to bring together great minds and propagate light in architecture and the built environment, promoting collaboration and coalition amongst different streams of creativity. For this, they initiated an organisation called STIR (SEE.THINK.INSPIRE.REFLECT). STIR launched its first property in 2015 - mondo*arc india, which is the Indian edition of a UK based publication. In a short span of time, it has gained much traction within the architecture and design communities, garnering appreciation and acclaims as one the most well-read design journals in the country. With light&you.com, the duo wants to bring together all of their passion, experience and knowledge for the subject to reach out to a wider design discerning audience. Samta began her career as an interior product designer after graduating from NIFT Hyderabad, and soon light and lighting turned into subjects of great intrigue for her. Her interests were translated into practice as she set foot into the field of lighting design, specializing in designing light for the built environment. Inspired by and in awe of light, Samta looks for innovative ways to spread awareness on the subject through visual storytelling. With over 8 years of experience with visavis she today is a recognised name in Indian design, architecture and lighting industry.